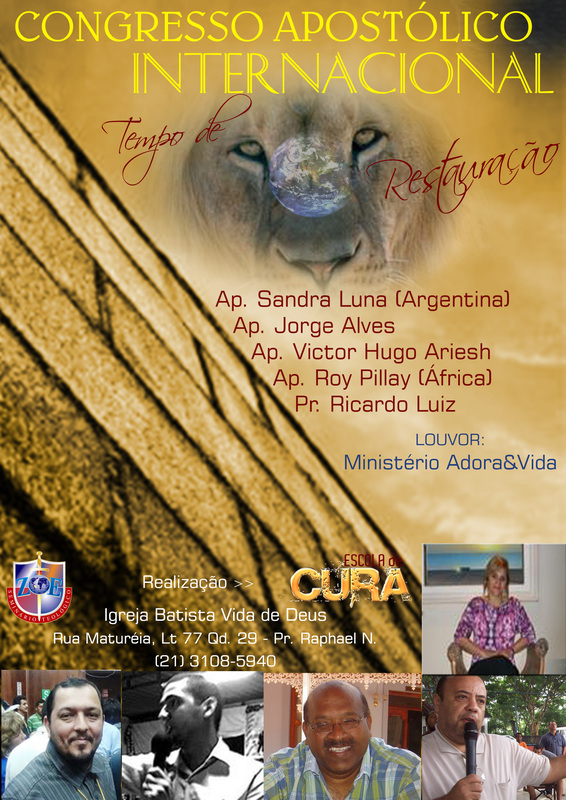 I will be with Ps Ricardo Luiz Barbosa on Sunday morning 17 April 2011 in Rio de Janeiro where I will share with Apa. Sandra Luna from Argentina and other servants of the Lord. There have been many requests for my notes on the sermon preached at the All Believers’ Convention last month. He who has ears let him hear what the Spirit of the Lord is saying! Right now the game of cricket is topical. If this week was a cricket game I would be called a tail ender. This is a rather unflattering description for a variety of reasons. I would prefer to be called the nightwatchman….my mandate tonight is simple; do not strike out; just occupy the crease until stumps are drawn, becausing standing on the other end is your captain who is in his 90’s; if I can protect my wicket this evening, it gives my captain to get to his 100 sometimes early tomorrow and we can declare the innings closed. Not only will the captain’s century be remembered, but also the dogged determination of the nightwatchman to defend his wicket, protecting his captain from hostile bowling. This is the parable of the Wise Nightwatchman. I release it to all sons in the house. The purpose of a parable is to present the natural so that we may glean spiritual truth. Well it has been a truly phenomenal week … we have seen the hand of the Lord upon our gathering right from the very first night. The Holy Spirit is being celebrated in this Convention; He is being received as a priceless gift to the Body of Christ. And tonight we exalt Him and we invite Him to function as a mighty rushing wind and come into this place and cause a Divine disturbance. I pray for a loss of dignity as the Holy Spirit would open the eyes of our understanding. I pray that we may remove all our official robes and the bells on our feet, our broad phylacteries and all our titles and draw near to one another as believers in the Lord. This evening I am determined to remain faithful to the mandate given to me by One who has heard from the Lord regarding this holy assembly. I am acutely aware that I am not just speaking to the apostolic community but to all believers who represent various parts of the Body.This Conference is called “All Believers Conference” . A believer is not one who agrees with our revelations; a believer is one who has received Jesus as His Lord and Saviour. Let us relate to one another as fellow believers who all face challenges of various proportions, yet we retain a precious commodity known as the joy of the Lord. This evening I would like to share a word that the Lord has placed in my spirit just over a month ago … it is the word HABITAT. Habitat simply means the natural environment of an animal or a plant. It is my prayer this evening that the Holy Spirit will provoke you sufficiently in order that you may be restored to your spiritual habitat. I pray tonight for a restoration of sanity that would cause believers to voluntarily return to the heart of the Father. For you to understand the spiritual reality of the condition of the Body I want to first of all show you what is going on in the natural realm. Environmentalists and conservationists are crying out against the excessive amount of deforestation that is presently taking place because it affects the very existence of so many species of life. Let us consider the facts of just one habitat this evening: the Amazon rainforests that are described as the lungs of the Planet because of its ability to recycle carbon dioxide to oxygen. These forests supply 20% of the world’s oxygen. -Rainforests once covered 14% of the earth’s land surface; now they cover a mere 6% and experts estimate that the last remaining rainforests could be consumed in less than 40 years.One and one-half acres of rainforest are lost every second. Experts estimates that we are losing 137 plant, animal and insect species every single day due to rainforest deforestation. That equates to 50,000 species a year. As the rainforest species disappear, so do many possible cures for life-threatening diseases. -More than half of the world’s estimated 10 million species of plants, animals and insects live in the tropical rainforests. -The U.S. National Cancer Institute has identified 3000 plants that are active against cancer cells. 70% of these plants are found in the rainforest. Twenty-five percent of the active ingredients in today’s cancer-fighting drugs come from organisms found only in the rainforest. -A single pond in the Amazon can sustain a greater variety of fish than is found in all of Europe’s rivers. Do you get the spiritual significance of this statement; do not despise the pond you are in; We must not look at the wrong patterns. Was’nt this Naaman’s problem? Despising the Jordan, not recognising its ability to restore life? -A single rainforest reserve in Peru is home to more species of birds than are found in the entire United States. -One single tree in Peru was found to harbor forty-three different species of ants – a total that approximates the entire number of ant species in the British Isles. -The number of species of fish in the Amazon exceeds the number found in the entire Atlantic Ocean. FROM THIS WE CAN CONCLUDE HOW IMPORTANT THE AMAZON IS AS A HABITAT OF GLOBAL IMPORTANCE. SIMPLY IT HAS ALL THE RESOURCES THAT SUSTAIN LIFE. BELIEVERS ALSO HAVE A HABITAT. IT IS THE LORD JESUS CHRIST.…FOR IN HIM WE LIVE, WE MOVE AND HAVE OUR BEING. Because Jesus is the Word, the believer’s habitat is also the Word of the Lord. In John 3.16 it is clear that the Father’s motivation for commissioning Jesus to the earth is to preserve life because He has witnessed the level of destruction and deforestation that is taking place. It is the Father’s desire that we should not perish but that we would have everlasting life. Jesus came to impart life. Jesus is a life giving force. An encounter with Him is an encounter with a fresh supply of oxygen. What Peter said was that “Lord you are our habitat”. Being with you energises us, motivates us, refreshes us….it is like drinking from a fountain of living water. If Christ is our habitat, then one must rationally conclude that His Body of believers is our habitat, because this is where He is fully manifested. It is within this configuration, in the company of innumerable angels,in this place called Mt Zion, that we have access to all the life giving graces that are necessary for our sustenance and development. Although we may be reluctant to admit it, the finest musicians and singers are embedded in Babylon. So although we may not have the finest music, the commodity that has been entrusted to us is “ WORDS OF LIFE”. This is the defining characteristic of our habitat…..Words of Life. Although many would leave us, yet to a select company, this is our habitat…. The Body of Christ that has every resource to sustain us. I believe, just as it is in the natural realm, so is it in the spiritual realm. That there is an increasing amount of deforestation of the habitat of the believer; where believers are being drawn away more and more from the promises of our God. This is a form of deforestation of our habitat. The believer lives and moves in Christ. We must discern that there is a gradual and steady erosion of our belief system. In our dismantling, we must be careful in that we do not cut off believers from their supply of oxygen, the Lord Jesus Christ. Here is one area of our habitat that is being deforested. FORGET NOT. THIS MEANS INSPITE OF HOW MUCH WE EVOLVE AS A HUMAN SPECIES, THAT THESE ARE ETERNAL PROMISES. There is an instruction for this generation and there is an instruction for all generations. THAT FORGET NOT MEANS WE MUST REMEMBER. How does one remember these things? By diligently refreshing our memory at every given opportunity. Every occasion you have to declare these promises of God, we must use it. We can either choose to believe in the promises of God or the lies of the devil. It will do your water crystals a world of good. You lose sight of this , your habitat has just been deforested. What does the Lord want us to always remember? 3 Who (He) forgives all your iniquities, Who (He) heals all your diseases, 4 Who (He) redeems your life from destruction,Who (He) crowns you with lovingkindness and tender mercies, 5 Who (He) satisfies your mouth with good things,So that your youth is renewed like the eagle’s. The Lord wants us to be continually refreshed. The structures and agencies of darkness are fully aware that distracting us from His promises is cutting off life giving oxygen to the believer. We are reminded by the psalmist not to forget these things. This means we need to resist all deforestation and destruction of our habitat in so far as these promises are concerned. We need to fight the good fight to preserve our habitat. He forgives all our iniquities, heals all our diseases, redeems our life from destruction crowns us with loving kindness and tender mercies, satisfies our mouth with good things. These promises keep our hopes alive when we face adversity. They represent life giving oxygen when the structures of darkness try to suffocate us. 15 For in You, O LORD, I hope; You will hear, O Lord my God. This present audience is a representation of the Body. As we said this is our habitat because it possesses all the life giving graces that are necessary to nourish us. The person sitting next to you is scripturally obligated to love you whether the person feels like it or not. We are devoted to one another in brotherly love. Honor one another above ourselves. We do not pass judgment on one another. These are the benefits of residing in this habitat. We are accountable to one another. Let me show you what would happen to us, if we detached ourselves from our habitat. Psalm 102 is a prayer of one who has faced trials and great affliction. Hear my prayer, O LORD, And let my cry come to You. This is a picture of desolation and devastation. When an individual loses his appetite because of the challenges and failures and disappointments in life then that person is in serious depression. It is possible that some of us may be in that situation this evening. Where you have given up on life. No nourishment, dry bones in the valley. 6 I am like a pelican of the wilderness;I am like an owl of the desert. Here is the truth, the cause of all our problems revealed right here. This individual feels like a peilican in the wilderness. He is not in his natural habitat. There are no resources here; because we are functioning outside of the Body of Christ. It doesn’t get worse than this. A picture of utter desolation. Loneliness that one experiences, as we try to function outside the Body….outside our natural habitat. In the natural you will never encounter a pelican in the wilderness. It is found near the sea. It’s primary source of nourishment is fish. It needs to be close to the water to survive. You may find yourself in an unnatural environment. My mandate is to encourage you , to assist in hastening your rehabilitation so that you may be restored to your spiritual habitat. This is where you and I belong. In the body; in an innumerable company of angels.This is where the Lord has deposited multiple measures of grace that would sustain and develop us. Every resource that we seek is found in the Body. Maybe you are feeling like a lone sparrow tonight; feeling isolated and rejected and abandoned. One of my favorite accounts in Scripture is about Elijah sitting under the juniper tree like a lone sparrow on the rooftop; like a pelican in the wilderness. Elijah’s understanding of the scope of the Body was restricted to those prophets that were visible; yet the resource pool was far greater than this. All a dried up, withered, shriveled pelican needs is just a scent of the water! WHAT DID DAVID PRAY IN THE TIME OF DISTRESS ? “Cast me not from thy Holy Presence” Do not remove me from my habitat. For I live and move in you. This is the reason we are constantly looking to increase the scope of the Body. 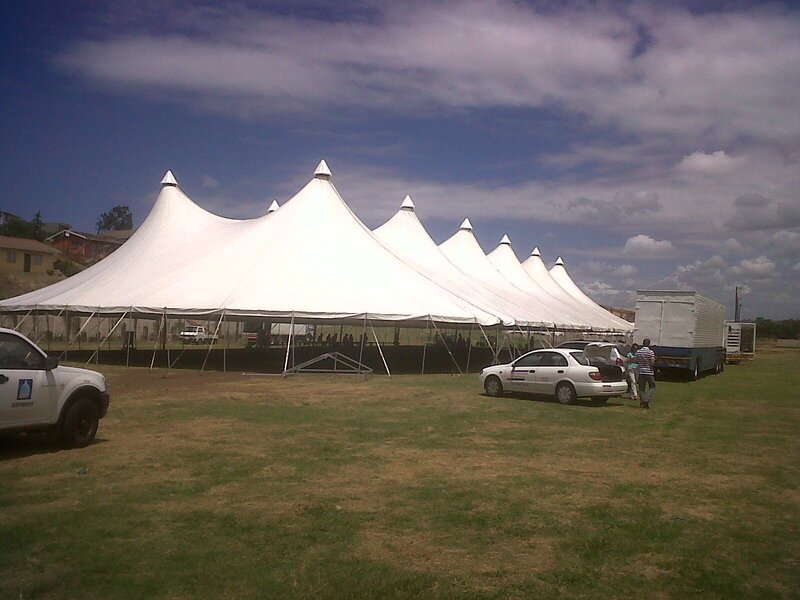 Even in our dismantling we have to exercise great care ensuring that we are not reducing the scope of the Body. How was the widow of Zarephath to know that the man standing at her door had such influence in the heavens that her household would suddenly experience prosperity in the time of famine. How was she to know that this man would restore her son’s life? She did the right thing. She took a step of faith. Receiving Elijah, a stranger, is like receiving another believer in the Body. Stepping out of isolation and depression and receiving words of life. Much of the vocabulary used in this season may be considered to be offensive, but even as we cut with the two edged sword, it is to improve the quality of the life of the believer. An interaction with a true believer is an empowering, energising experience because we carry the words of life. This is the defining characteristic of believers who are functioning from their appointed spiritual habitat. Everything we are about is that we may not perish but have life more abundantly. There may be some of you who are experiencing the loneliness of the pelican in a strange environment….. you may have strayed from the water’s edge …the spirit of the Lord is calling you back into your spiritual habitat…..back into the Body where the Lord has resources to minister to your needs….the Body is positioned like Elijah outside your door carrying with him words of life. Dining with Him, is dining with a life giving force. This whole week we dined with Him, we sat at His table; we had an encounter with Him. We were immersed in His Word and in His Presence for a glorious 8 days as the Body gathered together in one mind, in one accord and in one place. This has always been my dream….to see the Body, with all its strengths and weaknesses, with all its graces gather ; where people come in lame, blind, deaf, oppressed, depressed to the camp of David but leave an exceedingly mighty army strengthened and animated by the breath of God. May this be a pattern for the generations to come….it is possible for brothers to dwell in unity! Just esteem your brother better than yourself. Submit to one another in the fear of the Lord. Encourage one another, love one another just as He loved us. Thanks to the visionary Dr S Y Govender and his wife Rochelle for their leadership in discerning the mood and intent of God. To God be all praise, glory and honour! Be magnified Jesus! There is indeed none like you. "I hear the sound of an abundance of rain"